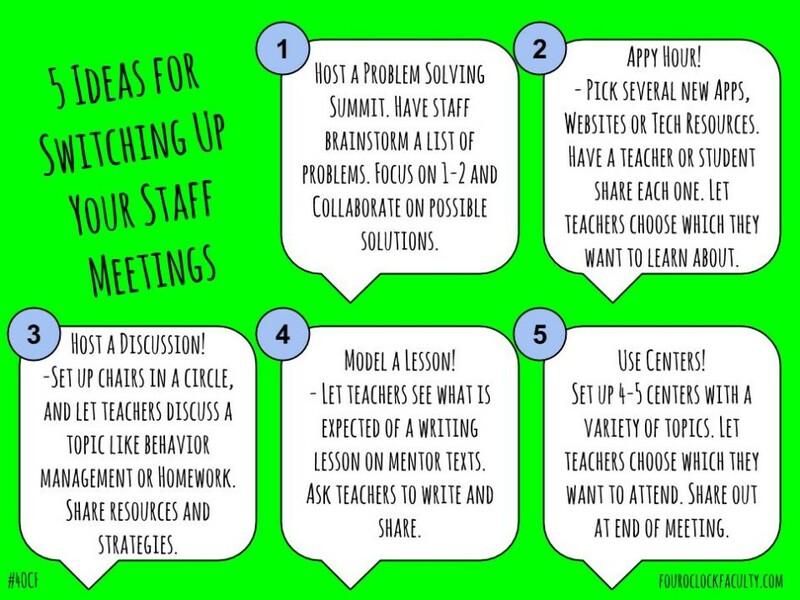 These are terrific ideas for more useful faculty meetings, Rich. When an administrator is doing all the talking, a meeting doesn’t take advantage of all the knowledge sharing that can occur. My favorite faculty meetings begin with the first 10 minutes being taken up with teachers sharing an instructional strategy that works best for them. If you have ten attendees who share, you come away with 10 great ideas.